Family plays a very important role in everybody’s life On one side, there is love, peace and a feeling of having someone by your side. On the other side, there are misunderstandings and disputes. Love is something that keeps the bond alive and keeps the family together. This is generally what we get to see on TV shows these days. My mom loves the show. So when I would visit my mother’s house, I would be forced to watch it. Eventually, to my surprise, the show grew on to me. The story revolves around a Punjabi matriarch Sarla Arora and her daughters. The show takes us on a journey of aspirations and dreams of two sisters. Also, simultaneously runs the story of Abhishek, a rock star and his circle of rich friends and family. It’s interesting to know how these two from completely contrasting worlds get connected and lead to a new direction. But apart from the intriguing twists in the shows, I mainly watch the show for its interesting characters. The story revolves around a Punjabi matriarch Sarla Arora and her daughters. The show takes us to a journey of aspirations and dreams of two sisters. Also, simultaneously runs story of Abhishek, a rockstar and his friends and family. Its interesting to know how the two completely opposite stories get connected and lead to a new direction. 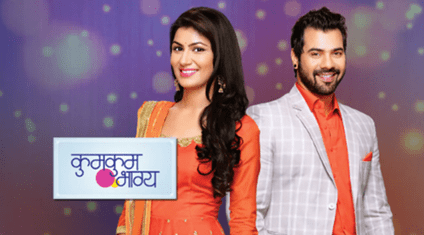 The entire plot of Kumkum Bhagya is very intriguing with many twist and turns and make you wait for next episode always. 1. Pragya (Sriti Jha) is my favorite character on the show. A hardworking woman who was a teacher, she keeps her family as her top priority. She is a strong woman who faces all every difficulty, head on. she is a woman who would do almost anything to save her marriage. In short, Pragya’s character made me believe that only we women, can stand strong in every situation of life and can sacrifice everything and go to any extent for our family. 2. 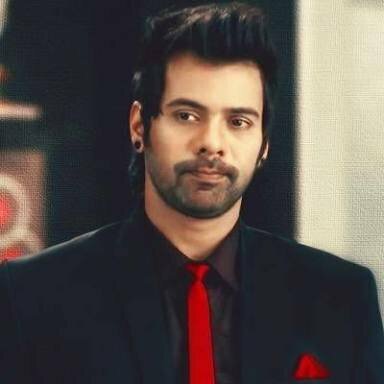 Abhishek Mehra (Shabir Ahluwalia), The rock star image was the first thing that attracted me towards Abhi. But eventually, his loyalty to relationships became the reason that won my heart. He has all the characteristics of an ideal man that every woman looks for in her husband/boyfriend. 3. Sarla Arora(Supriya Shukla) – She is a strong woman who handles the entire family with only female members and aces at it. But despite that, she is concerned about the future of her daughters. This interesting mix of strong spirit and ‘soft at heart’ behavior, makes Sarla an engaging character to root for. 4. Bulbul (Mrunal Thakur): This was a character that many young girls connected to. But though a smart girl with a lively spirit, she always used to live in her dream world. But then, she did not step away from making the ultimate sacrifice (her life) for her sister. This led me to really root for the character. With such interesting characters, I loved watching it with my mom. But being a mommy now, I miss watching the telecast at times. But thankfully, I recently came across ZEE5 where all the episodes of Kumkum Bhagya are available to watch. So, if you are planning to watch the show or missed an episode during the telecast, you can watch it online on ZEE5 anytime and anywhere. What’s Next Big HIT After Saawan Mein Lag Gayee Aag By Mika Singh? I haven’t watched this series yet but after reading this review i’m going to give it a try. Ooh I’m seeing Shabir Ali after a long time. He used to be quite the favourite. The only reason I had a look at the Inidan soaps was to know about the latest saree styles- Lol ! But seriously soaps like Kumkum Bhagya can be addictive and for those addicted Zee% seems like a great gift to watch the missed episodes . Its been a while I watched these Hindi Soaps. I am sure this will be very interesting since you watch it. Sounds quite and interesting script to watch on. The characters of the show makes it a good watch. ZEE5 has come up with great digital entertainment. Zee5 is making Indian soaps entertaining again. Sounds like an interesting story line. With apps like zee 5 watching our favorite programs has become easier. It is available at our fingertips. Not a big fan of Indian tele series but your post just convinced me to watch this! I too is not daily soap person but I love the story ,characters and this call for watching this serial. I generally do not watch daily soaps. However many of my acquaintances watch this one n I have heard great reviews.